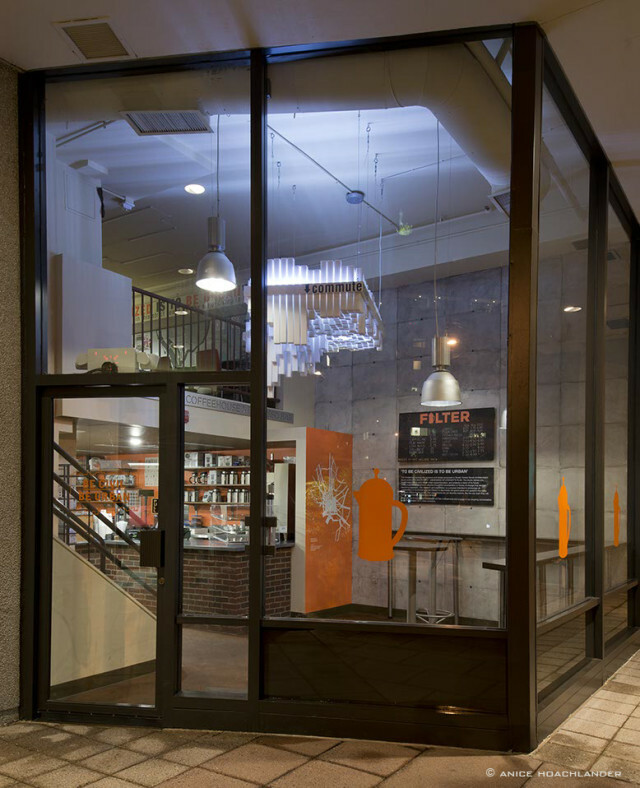 Location: Filter Coffeehouse, 1916 I Street, NW, Washington DC. Taking Dr. Spiro Kostof’s dictum “To be civilized is to be urban” as inspiration, Studio Twenty Seven Architecture has launched the first in a series of installations and exhibits with which it hopes to challenge urban norms and encourage non-standard thinking and discourse on our city and beyond. 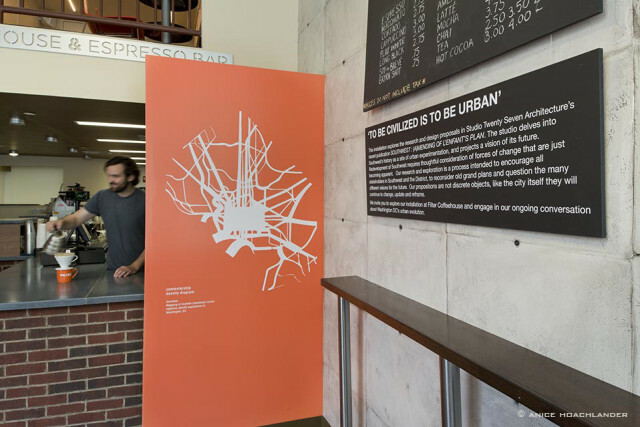 Be Civilized – Be Urban is on display at Filter Coffeehouse at 1916 I Street, NW through the end of September, 2013. 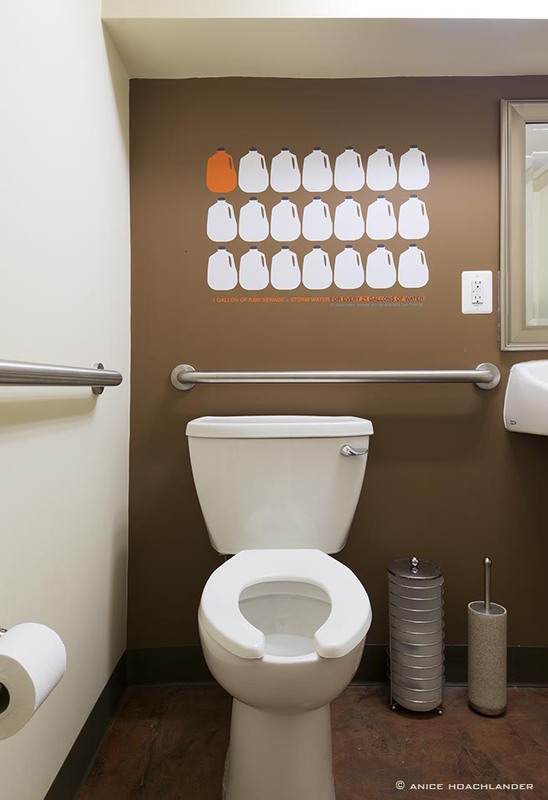 This installation focuses on Studio Twenty Seven’s research concerning Washington DC’s most urbanistically fraught administrative quadrant, Southwest. A neighborhood in its own right, Southwest is markedly different from the rest of Washington DC, a difference that can be attributed almost completely to the rise of the District’s commuter culture. Southwest is bound by federal and civic infrastructure and the Eisenhower era highways that were built to provide easy access to the core for the 20th Century’s newly suburbanized workers. Isolated in this way, the quadrant was further marked by one of the nation’s most concerted federal efforts at urban renewal. National policies that encouraged suburbanization also spurred urban divestment, and the built result of this cycle, along with decades of attempted remediation, are writ large in Southwest. 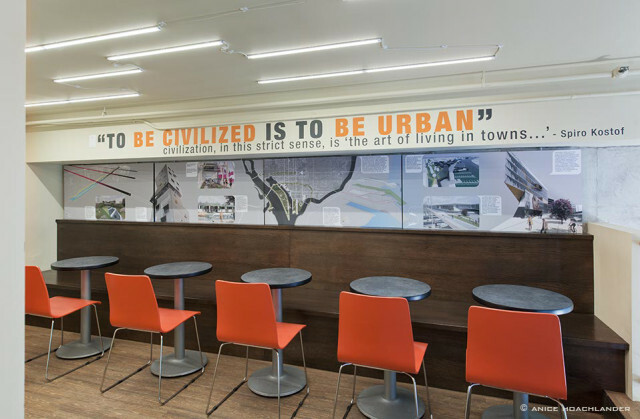 Be Civilized – Be Urban explores the consequences of deurbanization as manifest in Washington generally, and Southwest specifically. It shows how these consequences are still felt today, and speculates on future strategies to rethink the urban territory. Material from the exhibit is further developed in Studio Twenty Seven’s newly released book, Southwest Washington DC: (A)mending L’Enfant’s Plan, and an excerpt from the book was recently published on Atlantic Cities.com. 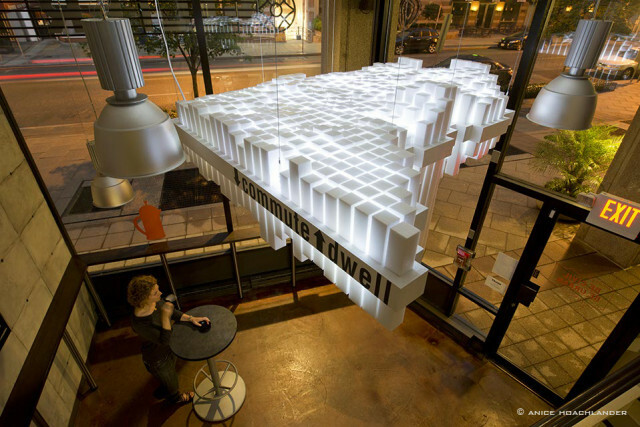 Be Civilized – Be Urban is dominated by a three-dimensional dataset hung in the center of the space. 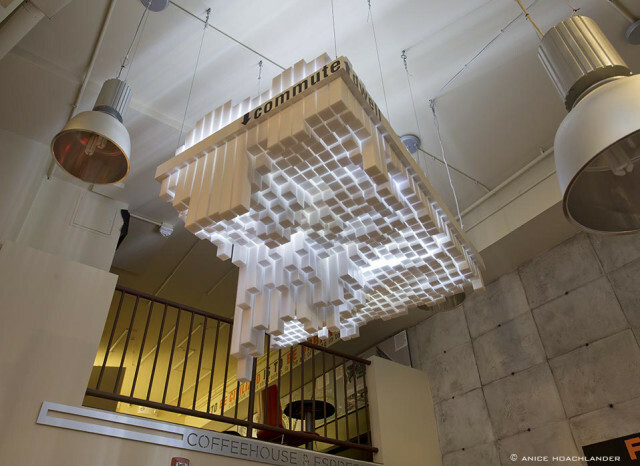 This floating cloud shows the geographic effect of the District’s daily population surge, relative to its resident population. Despite a steady increase in population in the new millennium, in 2013 Washington DC is still at the top of the list of large American cities with dramatic swings between daytime and resident populations. 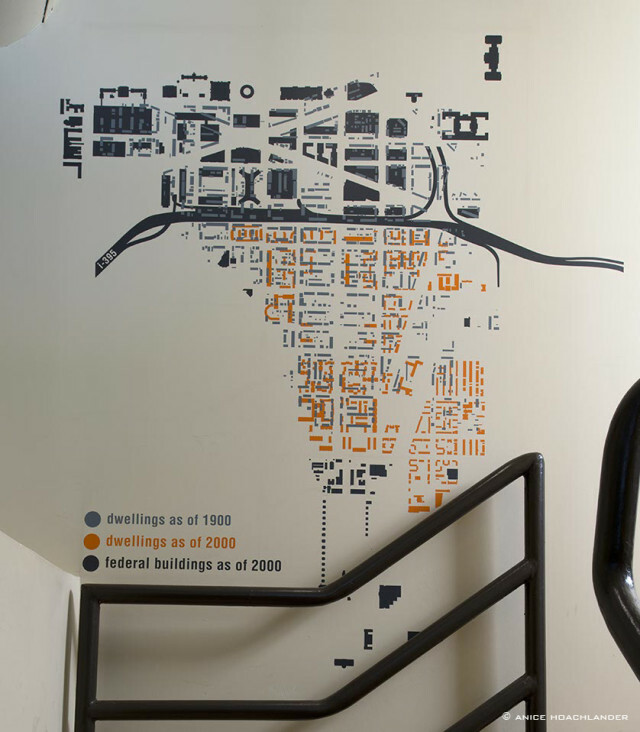 Graphic’s explaining the change over time of Southwest’s street grid – the site of the only wholesale departure from Washington’s famous L’Enfant Plan – its greenspace, brownfields, and housing typologies, are displayed along with speculative prototypes and schema. Challenging the viewer to question the District’s predisposition to historicism and ossification, Studio Twenty Seven created a ceramic tea set, the components of which are modeled on housing typologies old, new, and speculative. Of major American centers of politics, finance, and culture, Washington DC continues to lag behind in the latter. Recent cultural setbacks include the censorship of David Wojnarowicz at the National Portrait Gallery, the Corcoran School of Art’s proposed decampment for the suburbs, and the Smithsonian’s defunding of the Hirshorn Bubble. It is Studio Twenty Seven’s hope that by encouraging art, architecture and urban discourse in small, local actions, we can subvert the larger trends that compromise the District’s voice in contemporary culture.